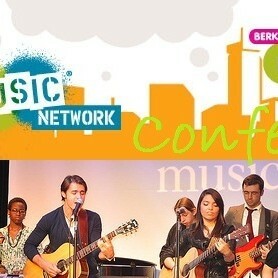 The Berklee City Music Network is proud to announce their first annual network conference. It will be coupled with the National Guild for Community Arts Education Conference, which will be held from November 9-12, 2011 in Boston, MA. The Berklee City Music Network Conference will give participants the opportunity to explore themes directly related to providing access to a quality and diverse music education for students as well as to deepen one’s understanding on how to make the most out of the Berklee City Music Network. Additionally, the conference will cover topics directly related to creating access to the state of the art music education for students in under-served communities across the country. The conference will highlight expert speakers in the field of music education. Michelle Edgar, Founder and Executive Director of Music Unites, will be one of the speakers at the Berklee City Music Network Conference.